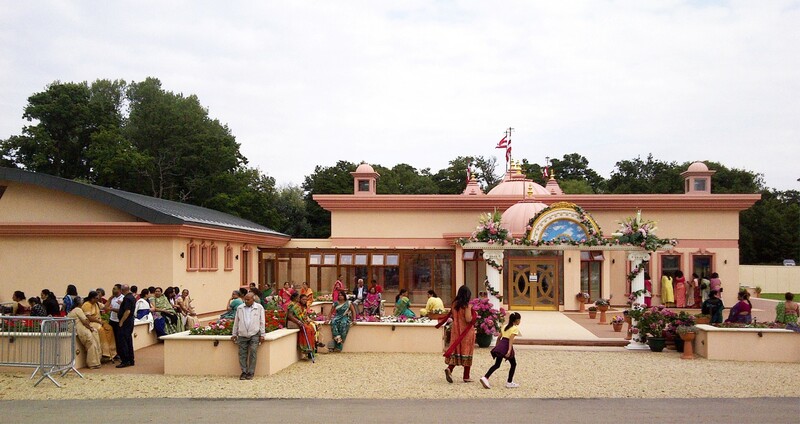 Anoopam Mission UK Temple Opening Ceremony - MEB Design Ltd.
On Sunday 16th August MEB Design attended the opening of the Mandir Mahotsav Temple for Anoopam Mission. The opening celebrations commenced on the 5th August and continued through to Monday 17th August. Thousands of visitors from around the world attended the various events during the week which included fireworks displays, speeches and gift ceremonies. Yesterday included the revealing of the Deity, speeches, thanks and a lunch and garden party. The temple building is the first phase of a larger complex which will go on to include catering, dining and accommodation facilities. MEB Design worked alongside Beard Construction and Thornton Firkin in a Design and Build capacity to see the project through on site. It has been a great learning experience working on a project of this type and we wish Anoopam Mission the best of success in their new building.